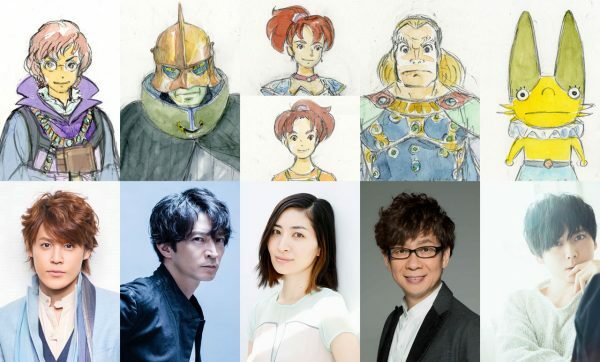 A Ni no Kuni animated film was announced by Level-5 and Warner Bros. a few weeks back. Today we get our second round of details, which breaks down the various voice actors to lend their talents to the project. - The kingdom of Evermore’s magic chancellor and an adviser to the king who has his absolute trust. - The supreme leader of the Black Banner Army, which has its targets set on the kingdom of Evermore. - Saki is a childhood friend who Yuu and Haru used to call Saki-nee because they loved her like a big sister. - Versa is a woman warrior who protects the princess of Evermore. - The leader of the knights of Evermore. The kingdom’s best swordsman, and a stern knight. - A fairy with a panda-like pattern. He looks after the princess of Evermore.